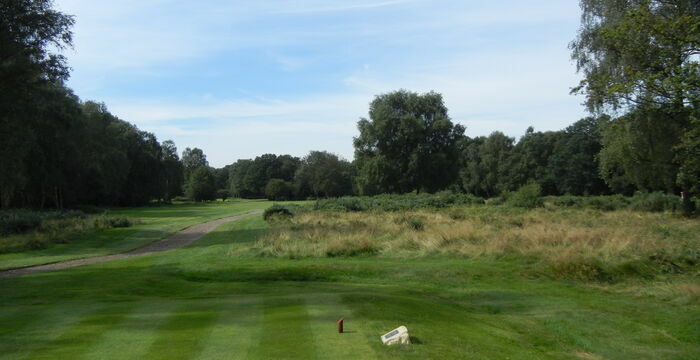 Final hole of the Potten End loop, a classic short par four requiring a well-placed tee shot with either a fairway wood or long iron. The approach shot is played over an area of rough scrubland, with a hawthorn tree set in the middle to a two tiered green. Beware the ridge that runs diagonally through the green.